The cottages of the Gites Chéri are located in the village of Kain, on the edge of the beautiful city of Tournai in Western Hainaut. The two lodgings were set up in 2010 in the former stables of the farm (cattle and field crops). Thierry and Muriel Devillers-Vandewalle welcome you. For the little story, the name "Chéri" is the nickname given to the Devillers for several generations and comes from Pulchérie, first name of an ancestor of the family. By their situation, the cottages benefit from the proximity of both the city and the countryside. Only three kilometers from the center of the touristic and cultural city of Tournai, the visit of this one can even be done by bike! This situation also gives you direct access to many facilities such as shops, restaurant, pharmacy and public transport. Many paths and towpaths will take you in the countryside, to the woods of Mont Saint Aubert or to the "Ravel" and chemins de halage de l’Escaut. The region is rich in discoveries and close to several major cities (Lille, Brussels, Gent, Brugge). 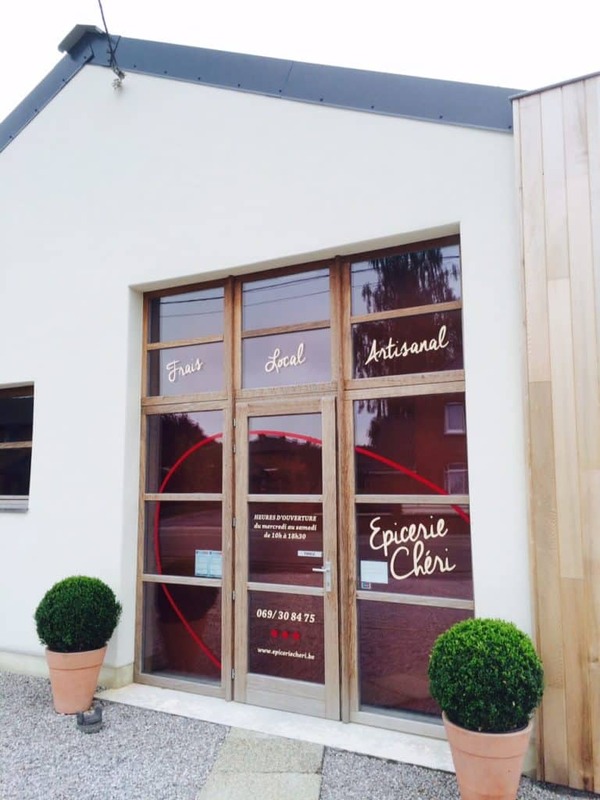 Since 3 years, the diversification of the farm has expanded with the opening of the "Epicerie Chéri" . You will find, from Monday to Saturday, a wide range of regional products of the region. Breads, seasonal fruits and vegetables, dairy products, cold cuts and meats, Belgian beers and wines, directly from the producers! The 2 lodgings are classified with 3 wheat ears. They are adjoining and each have two levels. They are fully equipped with TV, Internet connection, fully equipped kitchen, central heating, washing machine, terrace and garden furniture. The beds come with duvets and pillows. In common with the 2 gîtes: lawn and barbecue; bike shed, household waste and freezer. Easy parking on the site. Our cottages are equipped for the reception of cyclists and have received the "Bienvenue Vélo" label. They are also referenced on Accueil Champêtre in Wallonia http://www.accueilchampetre.be and Gîtes de Wallonie http://www.gitesdewallonie.be (references 1925 and 1926).